Hello! 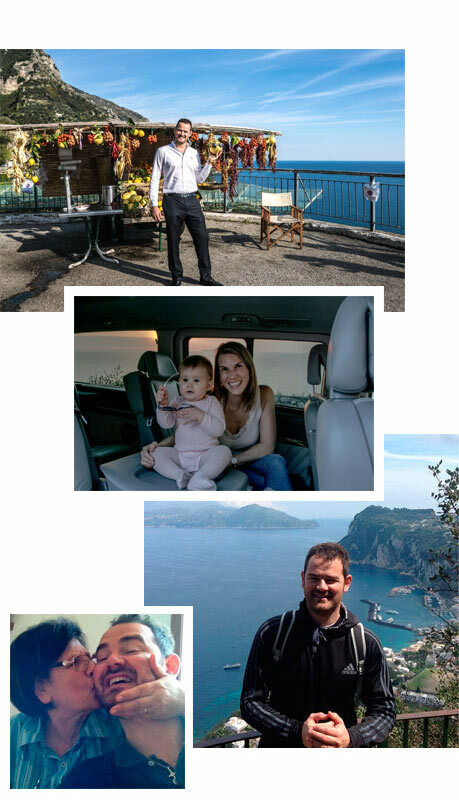 I'm Paolo and I deal with tours and transfers in Campania, particularly on the Amalfi Coast and the Sorrento Peninsula. I started working in the tourist industry about ten years ago on cruise ships, as a purser, driven by my love for travel and adventure, and then the passion for my land came back strongly in me and I realised I needed to do something important right here where I was born. I committed myself to it, I studied and worked in this area trying to accumulate experience and knowledge to be able to offer something more. After a long time I finally realized my dream: to create a company of my own. What I do is to provide the service of my experience to those who choose to spend their holidays in these magical places. In 2016 this gave rise to private tours LIS which has the objective to help discover,to those who want, the beauty of Campania through its landscapes, its smells and its traditions. The tour of LIS My tours, in English and Portuguese, are less formal because I like them to be more authentic. My goal is to lead you to the most secret and fascinating places in Campania, let you taste the best wines and traditional dishes, guide you in the culture and history of this ancient land, in a friendly manner and with typical Italian style. I'm sure you'll already feel at ease within a few minutes, your tour will be unique and memorable. Now, sit back and pick your day trip and I’ll do the rest! My car is a 8-seat Viano Mercedes and equipped with all the comforts. On board you can enjoy the utmost privacy thanks to the darkened windows and use wifi to send the photos of the trip to your friends. My car is equipped with all safety and air conditioning systems. Write me an email! Together we will organize your tour!